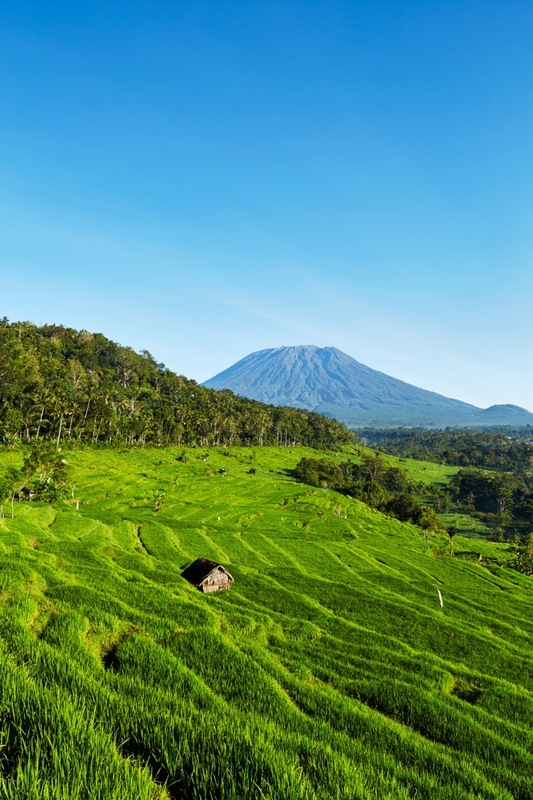 Intro – Like many Indians, We’ve been to Bali a few times, often to party and relax and avoid the super-sultry heat of the wet season in Delhi but this time we wanted a mix of leisurely downtime and a few distinctly different activities. 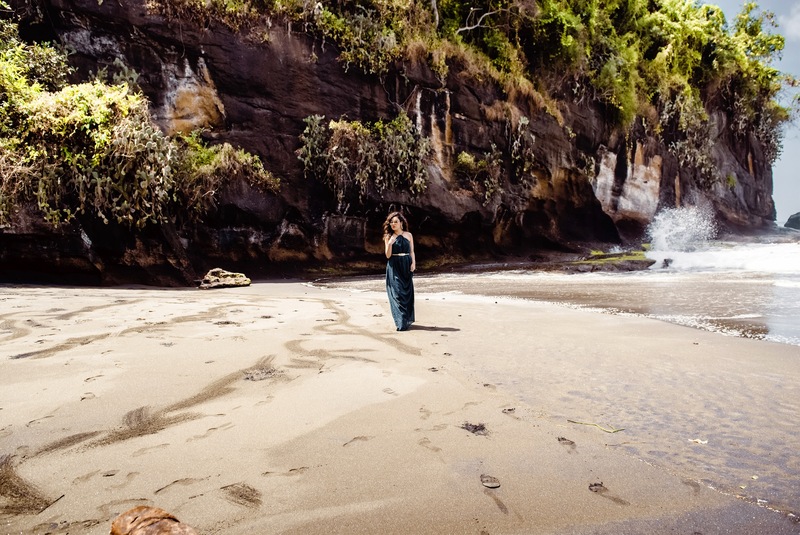 After our two nights in Ubud & two night at Nusa Dua, we went to see another part of Bali, and thus headed to our Third & Final Dimension – Manggis the Eastern side of the island. This area is closer to the “traditional Bali,” and wasn’t as crowded as Ubud or Kuta/Seminyak. 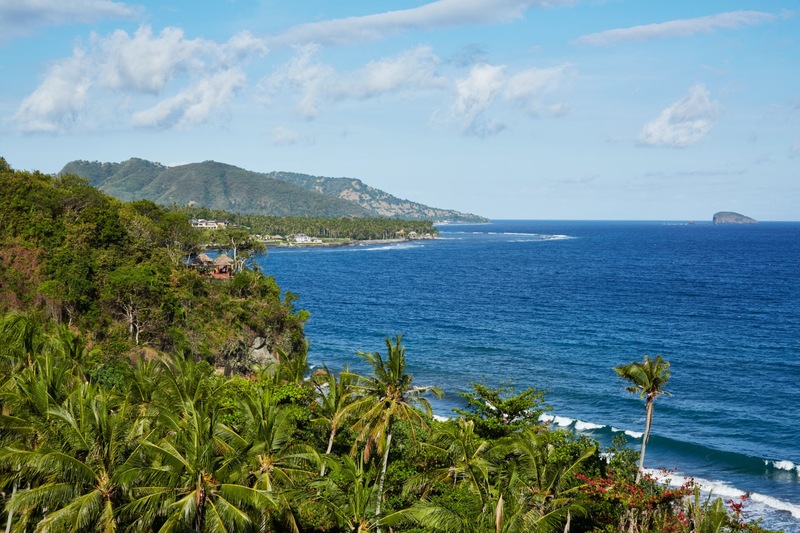 Our two days in East Bali and at our resort Amankila were the most amazing two days we spent in our whole trip. There were so many aspects about our stay that we loved. 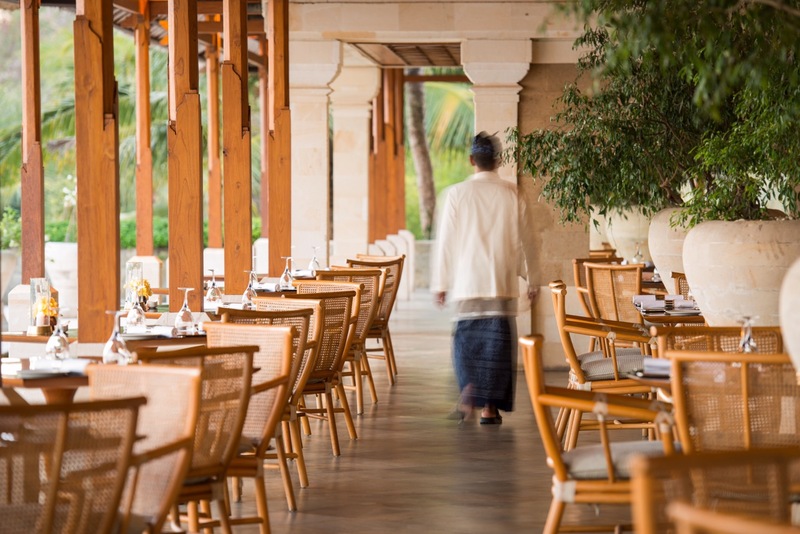 On our day of checkout in Nusa Dua, Amanusa sent a driver to drop us off at Amankila. The car being well equipped with cold water, wifi and snacks. We headed towards the town of Manggis, a 2 hour drive where the resort is located. Along the drive, we began to see glimpses of the coast and ocean and started to get excited. Suddenly, one and a half hours later it seemed that the world of Bali had changed. Things didn’t seem same, we were in the tiny mountains & the colours just became more vivid in nature. I have never seen the colour blue like this In my life. About 10 minutes later, we passed a sign announcing that we were about to enter Amankila! The car pulled up and we headed to the main lobby, where we were immediately greeted. While our check in details were being completed, we were walked over to the bar and presented with a delicious virgin cocktail by the bartender. I can’t remember all the components but it had fresh passionfruit, sorbet and ginger beer. We also had our first glimpse of Amankila’s famous “three tiered” infinity pools, inspired by the rice terraces of Bali. The view over the ocean was gorgeous. After we finished our drink, we were brought to our villa. Amankila only has 34 villas, but the grounds are huge. Some can be quite a walk away (as well as up some stairs), so rather than those fancy golf carts we see in most of the resorts globally, Amankila has spiced it up by adding the cool beach buggies that you can call to take you up to your room. 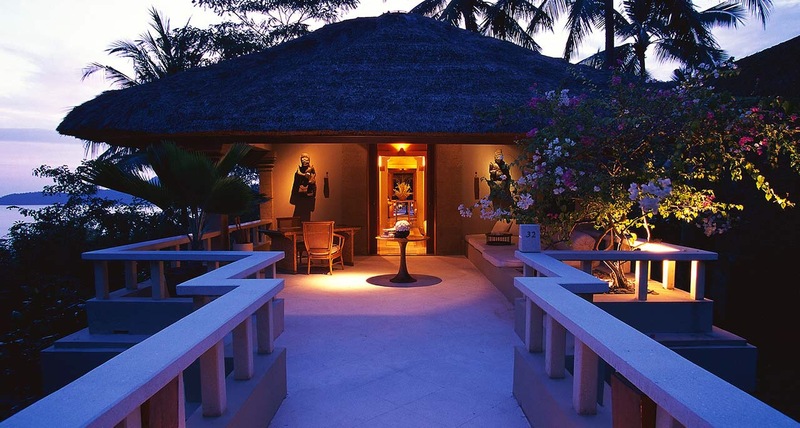 Giving you the perfect island life experience, reminding me of Pierce Brosnan from the movie The Thomas Crown Affair. Our villa was an “ocean view” villa, with a beautiful big infinity pool giving us a feeling of touching the beautiful blue waters of the oceans. 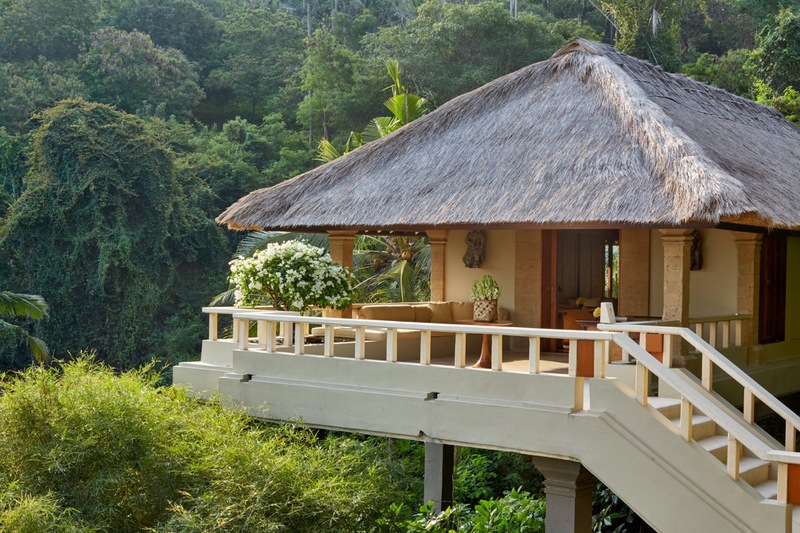 Our villa was a bit smaller than the one in Ubud and Nusa Dua but incredibly well designed. The architect was Ed Tuttle, who designed another hotel I’m very fond of, the Park Hyatt Vendome in Paris. We also appreciated the large sitting area out front, where we spent a lot of time swimming & reading. 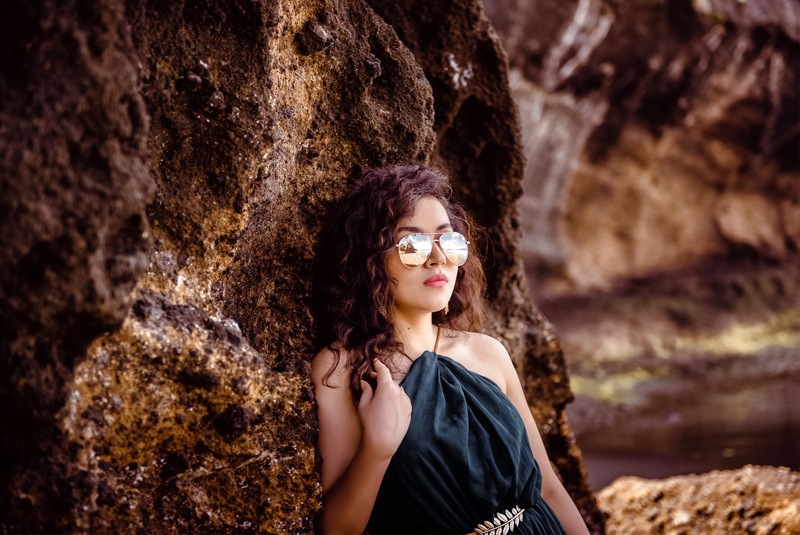 Again & Again the scenes of the thomas crown affair flashed in front of the eyes as we glazed upon the picture perfect view mesmerised by the extraordinarily blue ocean right in front of our eyes. Upon entering the Villa, you immediately found the bed to your right. The bathrooms were also split into a separate men’s and women’s vanity area. There were also two separate open wardrobe and luggage areas for each person. One of my favorite aspects about our villa was the small design details which were everywhere. Mother of pearl for example, was used throughout – everything from the toothbrush holder to table top inlays featured it. Here was a detail I didn’t notice until our last night – the mother of pearl inlay on our bed. Even the food at Amankila was really delicious. ​​Even though Amankila had a great restaurant where we usually had dinner, we took breakfast in our room every single day. The view was just too amazing and we loved sitting out on our beautiful deck & seriously with a view like this you can see why we felt lazy & couldn’t make it down to the restaurant. But we also loved our dinners there. One of the nights when we happened to be taking dinner in the restaurant at the resort, there was a traditional dance being performed by local villagers that the resort had arranged, right by the pool. The dancers were really talented. It’s a very wonderful feeling to be sitting under the midnight sky with a billion stars above your head listening to the ocean waves and watching a calming peaceful dance with traditional music being played in the background. We sat on the steps while the staff distributed some roasted peanuts and waters. 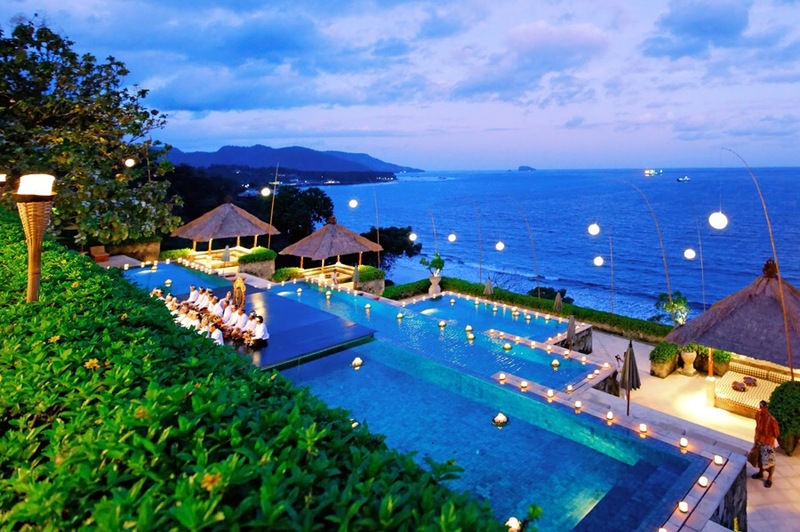 Apart from the huge triple infinity pool, Amankila also had a separate pool facility next to the beach, as well as bales directly on the beach. To get down to the beach area, you walked down a scenic route of steps (around 150 steps I was told). There were also buggies that could take you down if you didn’t want to walk. I’d suggest taking the buggies at least once, it’s like a short Disney ride! Amankila has a lovely black sand beach that is kept very clean by its staff. 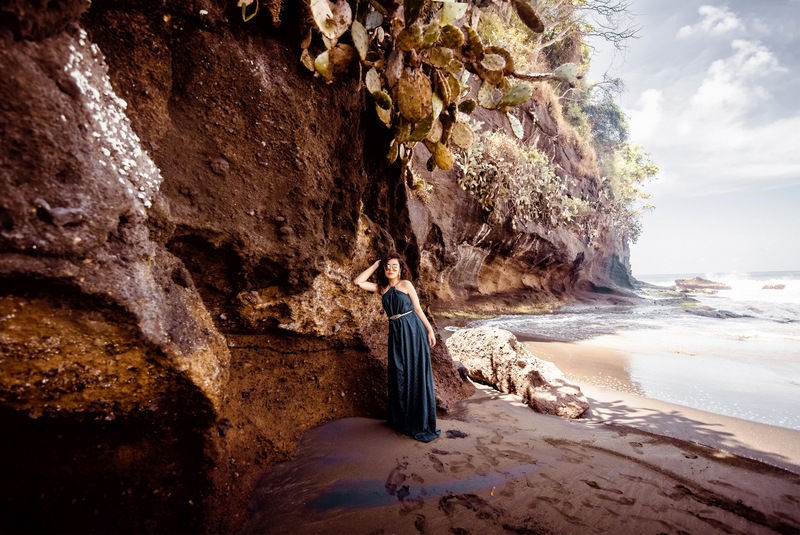 Beaches in Bali aren’t the cleanest overall in my experience – just like Goa there is a lot of litter everywhere, but Amankila’s was the cleanest ever, the staff were constantly picking it up when it washed onshore, though it was an unending Sisyphean task. But the biggest thing I liked about the beach was the Beautiful Black Sand. 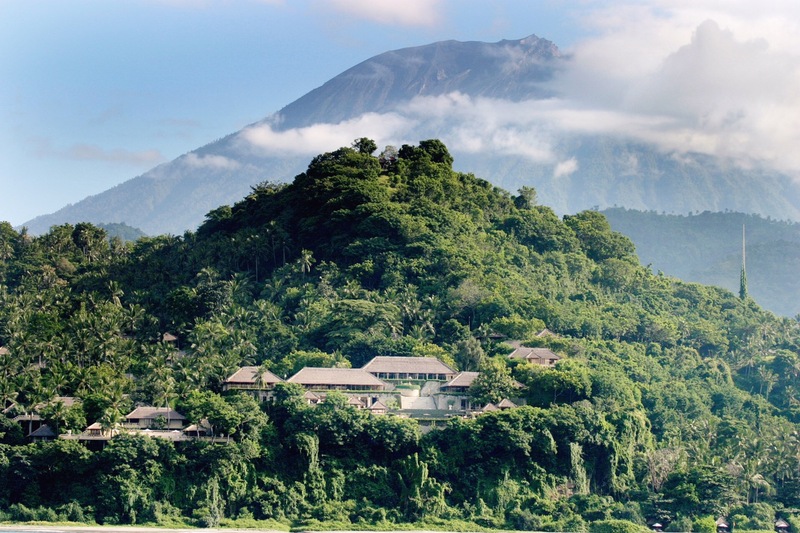 Interestingly the resort is set on the bottom of a Huge Mountain, a mountain which technically is an Active Volcano. If you go deep in the sea & if the Sky is Clear you get a chance to see this huge mammoth of a Volcanic mountain right above the resort. It is because of this volcano the beach gets its beautiful and rare Black Sand. Smooth & soft and shining like somebody had added glitter in between. At times it felt like diamond lying around in the black sand. One of the best aspects about Amankila was the number of unique activities that the resort offered. 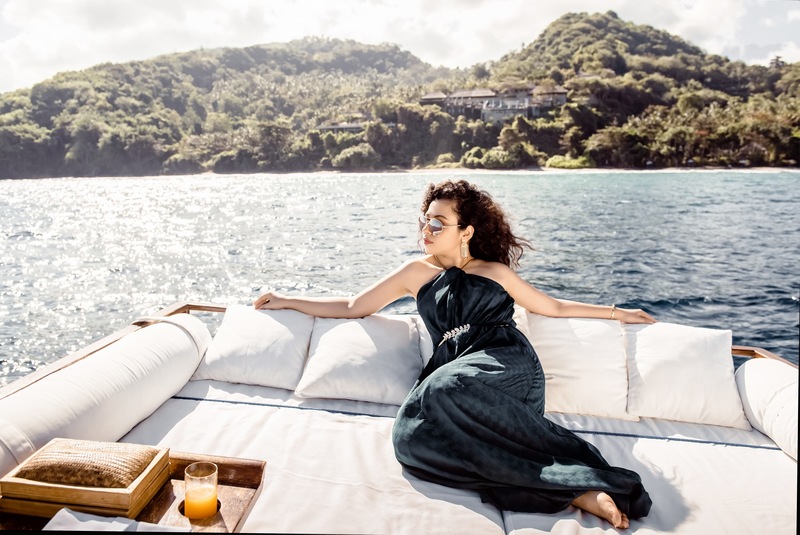 The first activity we did was a morning cruise on one of Amankila’s boats, the Aman XVI. There were two staff members on our boat from Amankila. After we situated ourselves on the awesome top deck (basically like a huge giant clean white mattress), The crew started to get it ready And off we went! We hung out on the deck and simply enjoyed the scenery. It was really comfortable on the top level as you can see – there were pillows, towels, and a wooden stand which the staff kept refilled with ice cold waters. Later, the staff set up a delicious lunch for us. A fresh fruit, delicious smoked salmon and ham and brie sandwiches, and pastries. Again I was amazed by the hospitality brought forward by Aman Resorts. 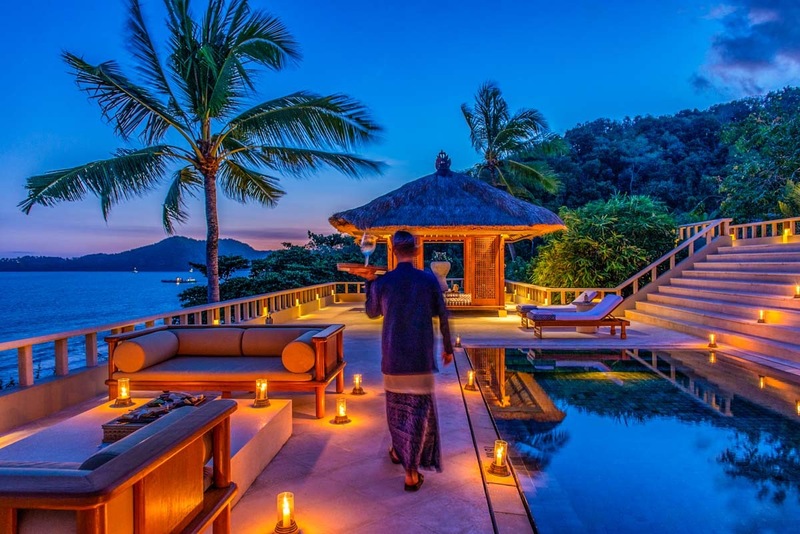 No matter in what Aman resort you stay at, they really know how to bring you into the world of Luxury. From the beautiful big bottles of freshly squeezed orange juice to the beautiful glass water bottles with various temperature options. Extremely cold, mildly cold to room temperature. 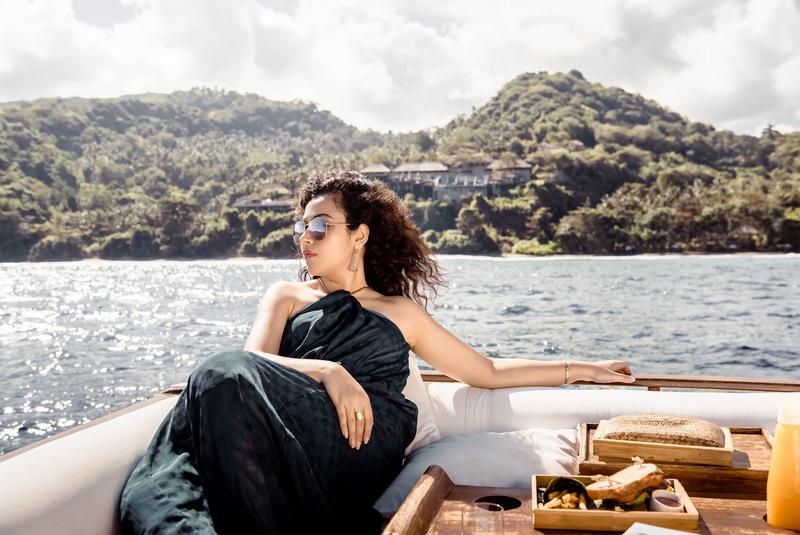 Amankila pampered us so much that a holiday really started feeling like a true picture perfect holiday, like the ones we see in movies and never experience in real life. We would highly recommend the cruise if you stay at Amankila – it’s truly an amazing experience! Our stay here was my personal favourite, while my wife felt that Ubud and Amandari was better in comparison to Amankila & Amanusa. 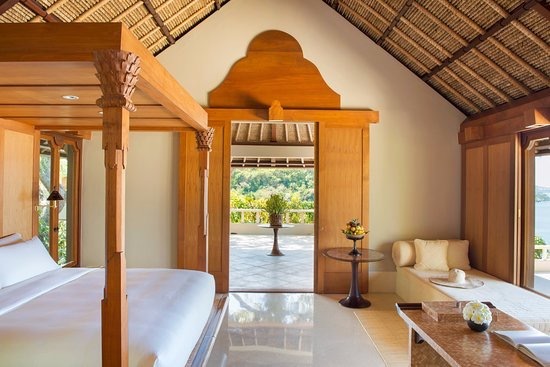 But I personally loved every aspect of Amankila, and there were so many aspects of it – our beautiful villa, the amazing views, the fantastic activities. And layered on top of everything was a genuine, seamless level of service. So realistically realising that our beautiful 7 day trip is coming to an end, we spent our last night at the resort sitting outside on our deck, enjoying the sunset and felling very fortunate to have had such a beautiful sight to come home to.